Born in 1972, Luca Citoli is a DJ since 1989 and a producer since 1998. 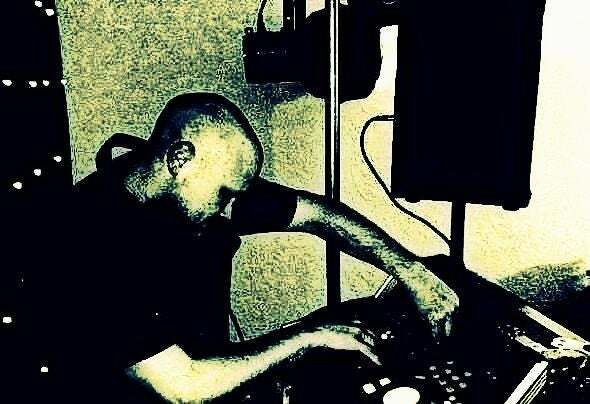 In the mid-90's, he was promoting Cellophane Zone and Red Alert with Tuscania Muvement North Italy in the company of many initiators of the electronic music scene.He's played radio stations and DJ clubs & events in Italy, Osterreichische, Germany, France & UK. In 2000 to release on Neurons Disturbed,.His releases appear on the Mzk Work, , Smoothnotes, B12 and Solfato, record labels.He studied the development of a prion mindshake intended to Mzk electro believe ltd. Currently has a number of personal projects in the pipeline, feels the need to experience firsthand the impact of their tracks on the dance floor started to work in one dimension is also marked by the live-set. supported by bass station crew became known in the clubs, having so many opportunities to compete with major artists in both minimal techno. The live performance reflects the style of his productions has reached a deep connection with the audience and dominating the dancefloor with a powerful yet refined sound. Dj producer and remixer. The success comes from the spontaneity of his product, loved for his unique sound to the rhythm of a complete set of production as well. Among the most popular and professionals who have dedicated their careers to mix sound for more than twenty years, always with an ear to the dance floor is as versatile as a vocation has worked with famous DJs on the international market. It fits with considerable success among the public, carrying the sound more and more innovative. Much appreciated for the quality music and technology, always looking for an authentic sound through a mix of Deep House, Minimal Funk dark sounds. Suppliers now considered versatile and talented, distinct from the contemporary music scene.Luca Citoli mixed Dark & Minimal deep identity shows in his music, a somewhat mystical blend of deep techno & electro that integrates southern elements in rhythms and colorful patterns in sound. His collaborations with Tony Anderson, Alex & Chris, Frederick Klein, Tony Cannon, Mark Advent, M-Traxx, Takuya Yamashita, Paul Harris, Jared, Steeve, Jesse Hudson, Feyser, Fabrizio Colasanti, Tony Maione, Dubfloor, Josh Grape, Syrion Dethvow, Peer Granat, Snakeline, Domer 1.0.Mellowing his style as times goes by, getting more experimental and spacey with a fresh style of his own, Luca Citoli's production is destined to the wiser dancefloors that have enjoyed his live sets in Italy, France, Osterreichische, Germany, & U.K. DJ-wise, Luca Citoli's trade relies on groovy & minimal. Luca Citoli Delivers his Top "Ibiza Voice"